CHATTANOOGA, Tennessee, April 14, 2011 (ENS) – The Tennessee Valley Authority Board of Directors today agreed to reduce pollution at its 59 coal-fired power generating units, phasing out 18 of those units no later than 2018 – the largest-ever air pollution reduction in the southeastern United States. The agreement resolves a series of legal challenges brought against the TVA by the U.S. Environmental Protection Agency, three environmental groups and the four states affected by the air pollution – Alabama, Kentucky, North Carolina and Tennessee. The legal actions stemmed from allegations that TVA, an independent, corporate agency of the United States government, had unlawfully extended the life of the coal-fired power plants without installing modern pollution controls, as required under the New Source Review program of the Clean Air Act. “This agreement will save lives and prevent billions of dollars in health costs,” said EPA Administrator Lisa Jackson, who estimates a $27 billion in annual health benefits once the settlement is fully implemented. “Investments in pollution control equipment will keep hundreds of thousands of tons of harmful pollutants out of the air we breathe, and help create green job opportunities that will reduce pollution and improve energy efficiency,” Jackson said. The plaintiff groups, the National Parks Conservation Association, Our Children’s Earth Foundation, and the Sierra Club, declared victory after an 11 year-long struggle. No later than 2018, TVA must retire all 10 units at Johnsonville Fossil Plant in middle Tennessee, two at John Sevier Fossil Plant in eastern Tennessee, and six at Widows Creek Fossil Plant in northern Alabama. 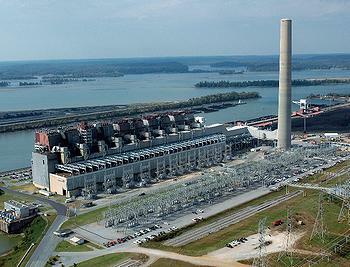 TVA announced in 2010 that it would idle units at John Sevier and Widows Creek, as well as one of 10 units at Shawnee Fossil Plant near Paducah, Kentucky Idling units shuts them down in stand-by status, while retirement permanently removes them from service under their current operating permits. “These units are among the first built by TVA and have served us well over the years. But as times change, TVA must adapt to meet future challenges,” said TVA President and CEO Tom Kilgore. He said that installing the expensive emission-control equipment that new regulations would require at the smaller, older plants would not be economical. Kilgore said TVA has agreed to pay a $10 million civil penalty to end costly legal proceedings and reduce the risks of much higher costs in the future related to past and potential disputes over regulatory compliance. With the EPA agreements and its own long-range plans, Kilgore estimates that TVA will invest $3 billion to $5 billion over the next 10 years on new emission-control equipment and upgrades of existing equipment at its coal plants. 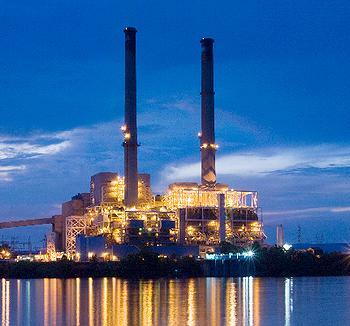 TVA has invested more than $5.3 billion since 1977 to reduce coal-fired power plant emissions. When completed, the pollution controls and other required actions will address 92 percent of TVA’s coal-fired power plant capacity, reducing emissions of nitrogen oxide by 69 percent and sulfur dioxide by 67 percent from TVA’s 2008 emissions levels, said the EPA. The settlement will also significantly reduce particulate matter and carbon dioxide (CO2) emissions. Uncontrolled releases of sulfur dioxide from power plants can affect breathing and aggravate respiratory and cardiovascular diseases, especially in children and the elderly. Communities near TVA’s facilities will directly benefit from $350 million in environmental projects designed to reduce harmful air pollution and promote energy efficiency, said Jackson, adding that these investments will advance environmental justice by reducing pollution in overburdened communities and reducing energy costs for low-income communities. TVA is required to spend $240 million on energy efficiency initiatives including a Smart Energy Communities project that will focus on energy efficiency in low-income communities. TVA will retrofit low-income housing with the most cost-effective energy efficiency technologies – reducing air pollution, energy use and saving residents money. TVA will also spend $40 million to reduce greenhouse gas emissions through renewable projects such as hybrid electric charging stations and $8 million for a clean diesel and electric vehicle project for public transportation systems. TVA will provide $1 million to the National Park Service and the National Forest Service to improve, protect, or rehabilitate forest and park lands that have been impacted by emissions from TVA’s plants, including Mammoth Cave National Park and Great Smoky Mountains National Park. Kilgore said TVA’s Integrated Resource Plan presented to the Board today recommends a future direction focusing on a diverse mix of electricity generation sources, including nuclear power, renewable energy, natural gas and energy efficiency, as well as traditional coal and hydroelectric power.